My drawing desk is covered in yellow cardboard, a trick I picked up from my other retail day job, so it protects my desk and I also doodle and write random notes on it. One such note inspired this drawing as I plan to do a series of them, so I plan to do some more for this challenge in the future. All the note says is: “Afro killer robots”. 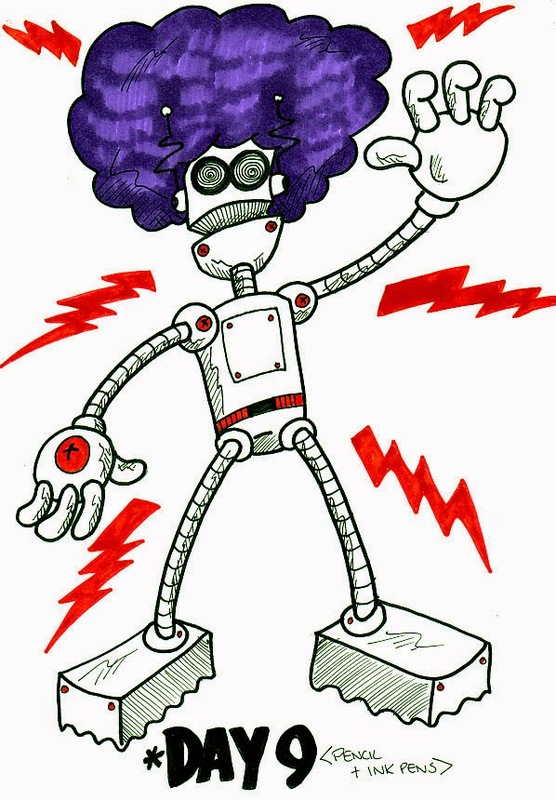 You see, just like buck teeth and stripy sleeves and pants are a staple for my art so is purple afro’s! Don’t know why, maybe as my hair, if grown long enough becomes afro like and I love purple.